Pub Date: May 30, 2014; 255 pages; 6" x 9"
Free PDF copy: Available for download. The world faces serious economic, environmental, and social challenges. Unfettered capitalism itself is increasingly seen as part of the problem, as Thomas Piketty, Joseph Stiglitz, and other economists demonstrate. 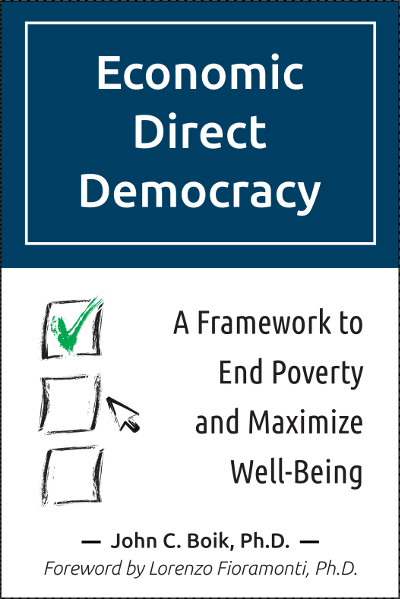 In Economic Direct Democracy: A Framework to End Poverty and Maximize Well-Being, John Boik proposes an innovative social framework that enables communities to strengthen local economies, and take meaningful action on infrastructure, debt, income inequality, health care, climate change, and environmental degradation. He challenges us to examine the basic purpose of an economic system, and to consider that human nature drives individuals toward deeper cooperation. Boik's proposal integrates multiple local movement, participatory democracy, and open society initiatives into a single framework that helps organize and enhance existing city, county, and regional economies. 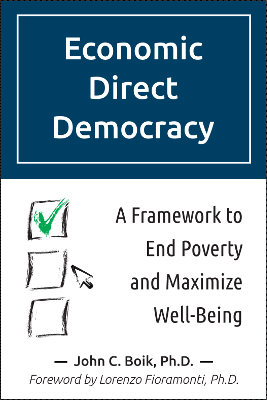 By infusing a local economy with 21st century direct democracy, the system empowers local areas to take the lead in making real change. The hopeful message is that we can increase incomes, end poverty, reach full employment, and address major social and environmental problems, in our lifetime. 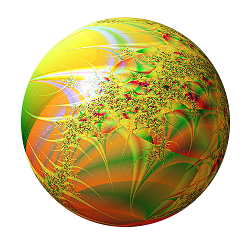 SiteForChange is the sole proprietorship publishing business that brought Economic Direct Democracy to life. The company is owned by John Boik. John also published his 2012 book Creating Sustainable Societies through SiteForChange. That book is now out of print and has been superseded by Economic Direct Democracy. Economic Direct Democracy is made available to the public via a Creative Commons Attribution--NonCommercial--NoDerivatives license. This license grants generous rights to copy, distribute, and modify the book, subject to certain restrictions. The book may be periodically updated with corrections and improvements. Revised versions may be posted to this website. If you find errors or have a suggested improvement, please contact PSP. The terms Local Economic Direct Democracy Association (LEDDA), Certified LEDDA, Principled Business, Certified Principled Business, and Token Exchange System are trademarks of John Boik.